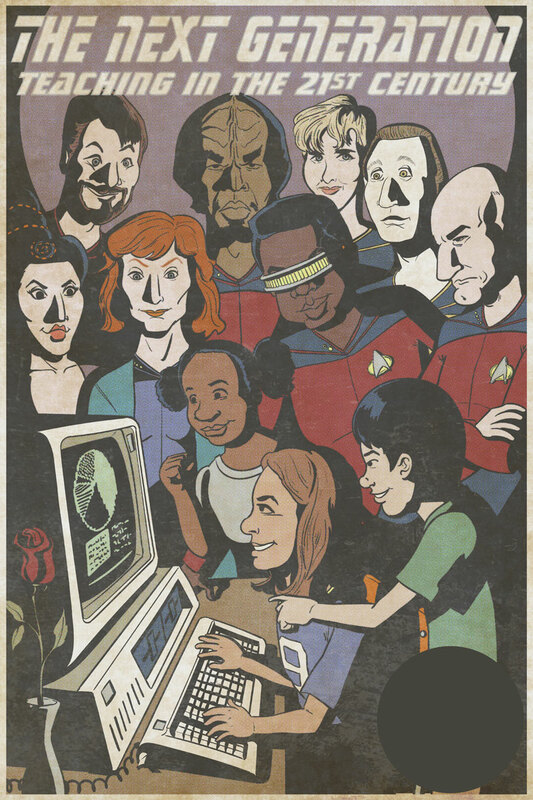 Our local school is having its yearly fundraising auction and it just happened to be TNG themed. I immediately volunteered to do artwork for the event, eventually being assigned a large size print to put up for auction. With the help of the organizers I came up with what could have been the cover of Byte magazine back when The Next Generation was first on the air. The first two years of TNG maybe not have always been the best written, but they were the best looking. I love those streamlined Theiss costume designs and Troi’s hair. I also love Tasha Yar. Riker should be beardless, I know, but my audience won’t be as nerdy as the rest of us, and Riker is more recognizable with a beard. I also prefer Pulaski to Crusher, but, again, who needs a dozen comments asking “Who’s she?” Wesley? No one’s noticed Wesley’s missing yet. 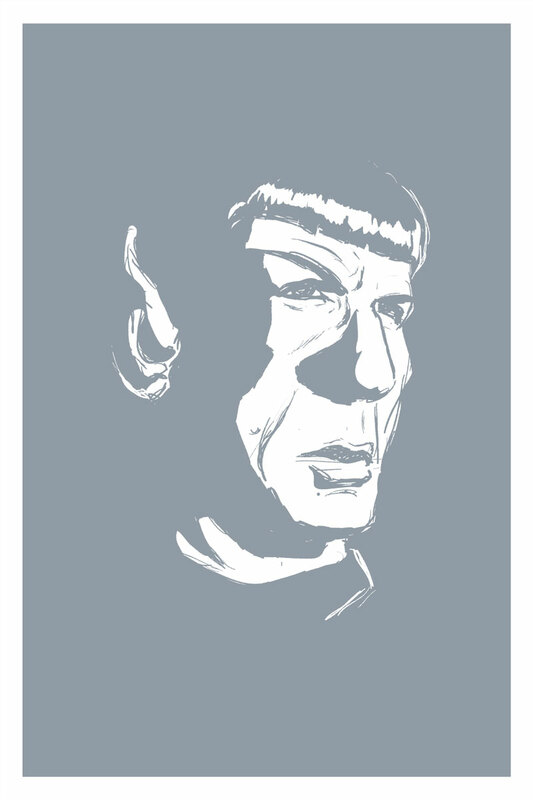 As I was sketching the poster out we all learned that Leonard Nimoy had passed. The organizers wanted to know if I could squeeze Spock into the composition. To me that would have been sacrilegious (not to mention too crowded), but I offered to make a second print in honor of Nimoy. The drawing is based on Spock seeing the Romulans for the first time in Balance of Terror. That shot is quintessential Spock: Curiosity mixed with a bit of confusion wrapped in a package of understatement that would be inappropriate for any human character. And, as a friend of mine pointed out, the ear is exceptionally prominent. Both prints are one of a kind and will be up for auction tomorrow night.